The title refers to his attempt to understand the people who say they can’t afford books, while at the same time spending copious amounts of their hard earned on beer and cigarettes. Orwell worked as a book reviewer and it gives a great real life, firsthand insight into why you shouldn’t care at all about reviews. Staying in Hospital X, in Paris, with a chest complaint leads to a look back at the horrors of medical practice as a result of the indifferent treatment of other patients on the ward. The expose of what it was like to be a public school boy in the 1910s – horrific, brutal, inhumane, unhygienic, totalitarian, cruel, criminal, despicable, enraging and many other words cannot really sum up what he describes. His time in a bookshop brilliantly and lucidly examines the characters who venture in, of all sorts. A great eye for detail. This is a gem of a book; short but packs a punch, and is engagingly written as you might expect. So, are you going for a smoke or a book? Thank you! The title did draw me in for sure. Great review–I’ll have to check this out. It’s like the people who balk at $4.50 for an ebook but spend 4$ on a cup of Starbucks coffee and leave a $1 tip. Exactly. And you work in a coffee shop here you might not even get a tip. Funny money. Thanks for swining by! 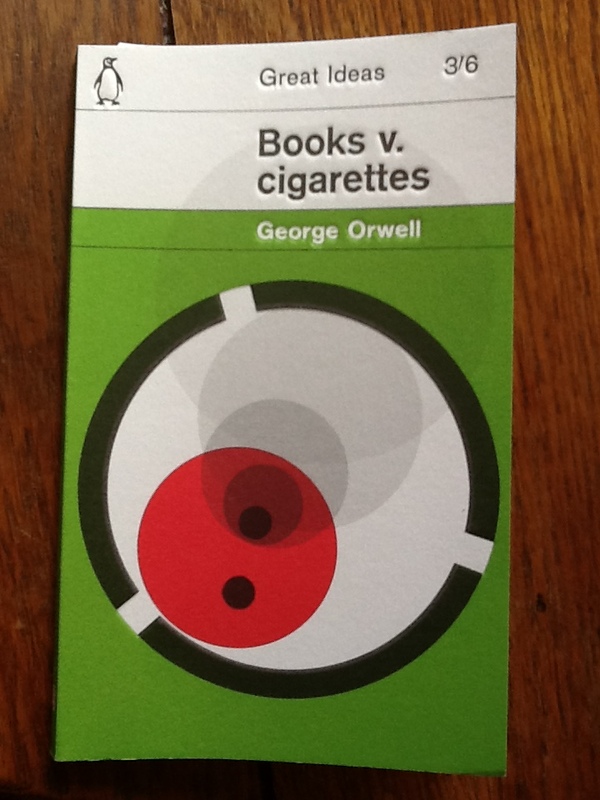 Amazing review, Orwell is such a great writer. Many thanks – he’s a favourite..which reminds me I haven’t read Animal Farm in a long time. I think he has other collections of essays too, I vaguely remember one about coal mining.